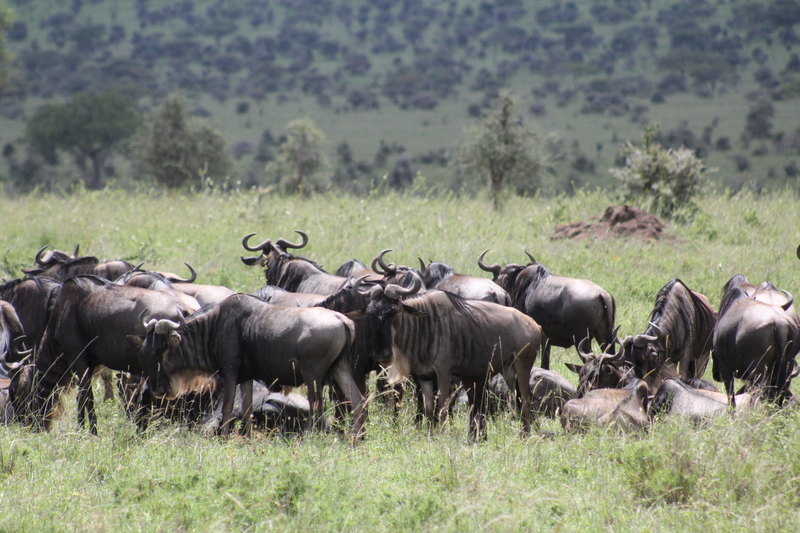 The Great Migration- Safari in Tanzania gives you front row seats to one of the most captivating and aw inspiring experiences in Africa, The Great Migration. Millions of wildebeest alongside hundreds of thousands of zebras star in this mesmerizing adventure of their yearlong journey for food and quest to reproduce. Spotting the Big Five- The Big Five are among the most ferocious and dangerous animals in Africa and can all be found in Tanzania. The Big Five include the African Lion, African Leopard, African Elephant, Cape Buffalo, Rhinoceros. Home to the Ngorongoro Crater- The Ngorongoro Crater, was formed about 2.5 million years ago from a large active volcano.Upon entering the Crater, your breath will be swept away by the beautiful 360 degree view of lush mountains with the richest grazing grounds in Africa. Some of the animals living in this paradise include elephants, black rhinos, leopards, buffalo, zebras, warthogs, wildebeest, and the largest population of lions in the world! Zanzibar- Zanzibar is home to some of the most beautiful beaches in the world along with the historical city, Stone Town. Pair your safari adventure with some rest and relaxation on Zanzibar’s beautiful white sand beaches, only a 45 minute flight from Tanzania’s mainland. The People!- Politeness and respect are virtues embedded in Tanzanian culture. From personal experience, Tanzanians are some of the friendliest, kindest, and openhearted people on this planet.